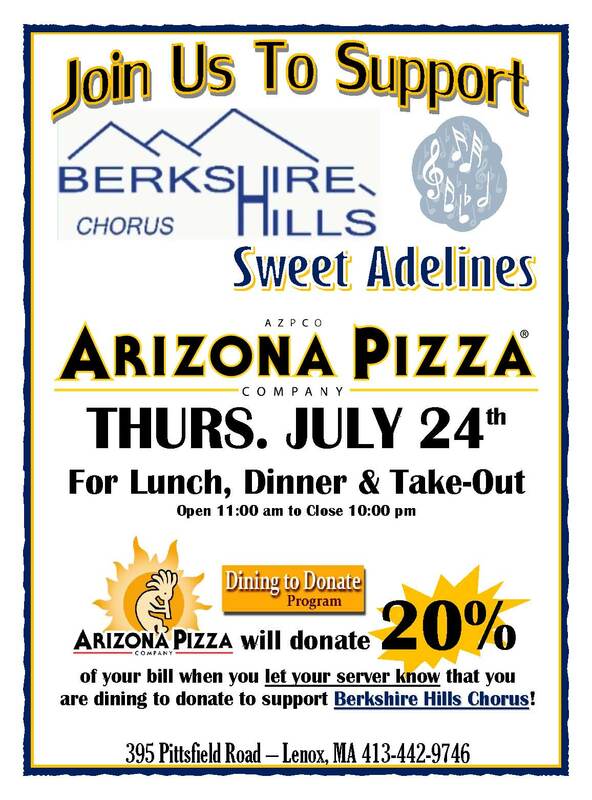 On Thursday, July 24th, Arizona Pizza Co. will donate 20% of your bill when you let your server know that you are dining to donate to support Berkshire Hills Chorus! This offer is valid for lunch, dinner, and take-out Arizona Pizza on the Pittsfield-Lenox Road (Rts 7 & 20) in Lenox from 11:00 am to close at 10:00 pm. Next Post Save the Date – Fall Show!